6, 8, 18, 19, 22, 45, 47, 55, 59, 60, 62, 76, 78, 79, 85, 86, 88, 123, 148, 247, N10, N11, P959. 6, 10, 14, 19, 26, 27, 32, 34, 37 y 45. Senator España Hotel: http://www.hotelsenatorgranvia.com/ - -Please make your reservation by email to grupos.senator@playasenator.com (contact persons:Kathy Carrero or Berta Crespo, to manage the reservation), indicating full name, dates, telephone number, e-mail and credit card (Visa or Master Card) for payment of the first night, do not forget to report that you are attending to COMPUTER GAMES PHILOSOPHY CONFERENCE. (price 55 euros / night). Room Mate Hotels Oscar: http://www.room-matehotels.com/esp/madridhotel/oscarhotel/oscarcontacta.php - Please, make your reservation on-line indicating in observations section that you are attending the conference and the hotel will offers breakfast as a compliments of the hotel. (Prices from 90 euros / night). Equity Point Madrid: http://www.equity-point.com, this hostel offers conference attendees a 10% discount and the option toshare rooms. In order to benefit from these special conditions, please, write "VI International Conference of Computer Games" in the comments section of the on-line reservation form. The hostel will apply the discount during the check-inprocess. For questions, contact: María Rubio Méndez. From airport to hotel: Google Maps. 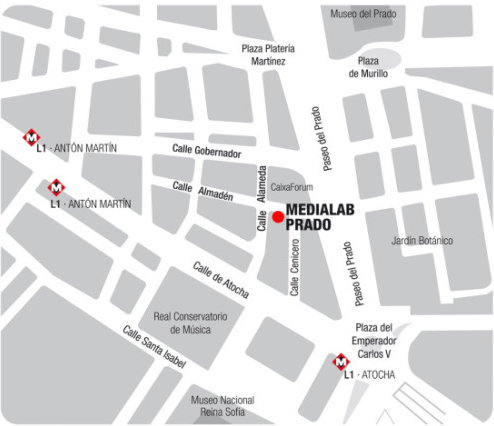 From Hotel to MediaLab-Prado: Google Maps. 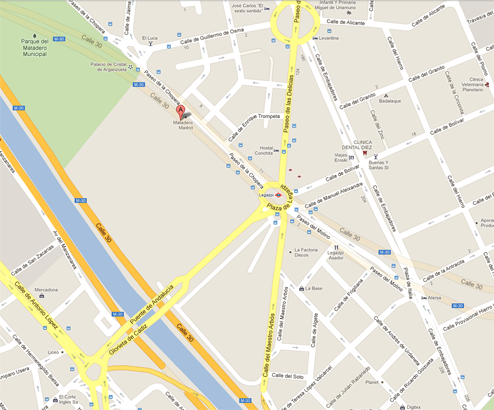 From Hotel to Intermediae: Google Maps.